Iowa House Democrats Propose Semi-Automatic “Assault Weapon” Ban! We’re not coming after your guns unless they are a semiautomatic rifle or pistol say Iowa House Democrats. Five Representatives have co-sponsored legislation that would ban the sale or transfer of semiautomatic “assault” weapons. These five legislators want anyone who transfers one of these weapons to become a felon and receive up to ten years in prison and a possible $10,000 fine with a minimum of a $1,000 fine. So what constitutes an assault weapon to these legislators? This bill is an aggressive and reckless attempt to ban everything inside the gun stores. 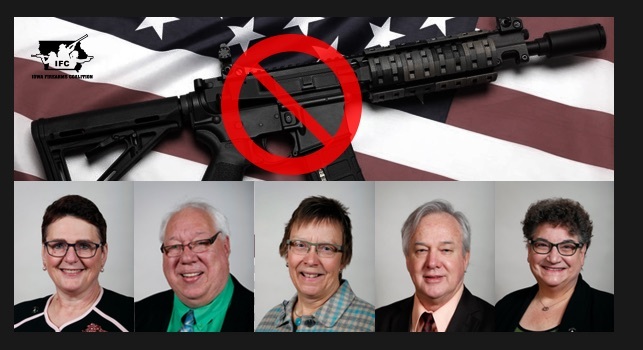 These legislators have zero regards for the Second Amendment nor the liberty of Iowans. 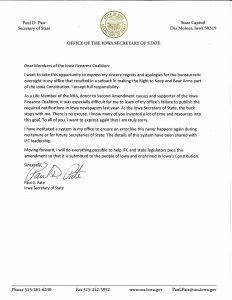 Want to know why amending the Iowa Constitution is so important? It’s because we have people who are elected officials that are willing to make felons out of people for selling a standard AR, AK, Glock, 1911, or whatever other guns most Iowans would use to defend themselves. HF-125 is a hostile attack on gun owners. It’s a terrible bill for gun owners or anyone that cares about individual liberty. This language is similar to HR5087, the federal Assault Weapons Ban of 2018. This poor excuse for legislation is why elections matter. 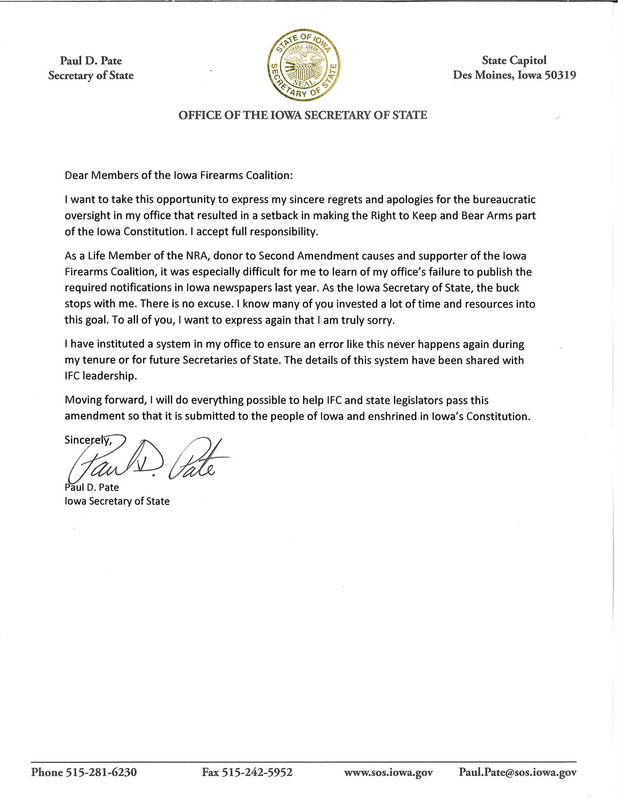 We don’t expect this extreme nonsense to hit the floor of the Iowa House because liberty-minded Iowans hold the majority and will keep this bill from committee. Contact information is below for the five representatives who co-sponsored this legislation. Gun-control zealots Rep. Art Staed and Rep. Bruce Hunter have proposed legislation that would ban the sale, transfer, or possession of any magazine greater than 10 rounds. HF-65 seeks to impose up to $6250 in fines and a possible two year prison sentence for those who fail to destroy the magazines. No buybacks. No grandfather period. No respect for the rights of Iowans. This bill looks eerily similar to the language used in the 2013 Connecticut magazine ban and the language desired on the Giffords Gun-Control website. IFC is currently the only organization registered against this legislation. This is why elections matter. Rep Art. Staed’s contact page can be found HERE. Rep. Bruce Hunter’s contact page can be found HERE. Des Moines area House Rep. Bruce Hunter is coming in hot with four gun-control measures proposed right out the gate! Bruce Hunter’s ideas for Iowa? Repeal shall-issue and revert to may-issue carry, impose tough civil liability penalies, double ban bump stocks, and repeal Capitol Carry. HF-11 – A bill for an act relating to the imposition of civil liability on parents or guardians when minors cause injury with firearms. Registered Against. HF-17 – A bill for an act prohibiting the carrying, transportation, or possession of firearms in the capitol building and on capitol grounds, and making penalties applicable. Registered Against. HF-31 – A bill for an act prohibiting the manufacture, possession, shipment, transportation, or receipt of a multi-burst trigger activator, and providing penalties. Registered Against.Registered Against. HF-32 – A bill for an act relating to the issuance, denial, suspension, or revocation of a permit to carry weapons and a permit to acquire pistols or revolvers. Registered Against. These ideas are carried forward from last session and we expect that they will fail to advance. These bills have been supported by the gun-control lobby and applauded by those maintaining the assault against the rights of Iowans. This is why elections matter and we must continue to work hard so that we are not vulnerable to the nanny-state whims of people like Bruce Hunter. Bruce Hunter’s contact info can be found HERE. 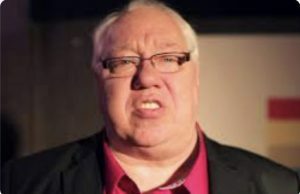 Iowa City Senator Joe Bolkcom has proposed SF13– a bill that would criminalize carry of a weapon, concealed or open, in a place with a conspicuously placed sign prohibiting weapons. This would create more hurdles for a person carrying a firearm and also create more gun free zones. We’ve seen the higher propensity for terrible shootings to happen in a gun free zone across the country. 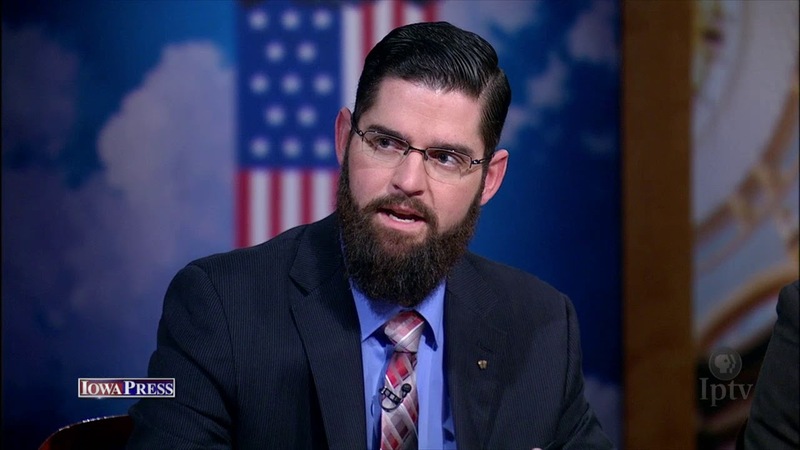 This bill is clearly an attack at gun owners, a group that Senator Bolkcom has been consistently vocally opposed to in his time in the Iowa Legisalture. This bill appears to have been copy and pasted from SF-2025 from the previous session. The bill is identical and we expect the outcome to be identical as well. Iowa Firearms Coalition is the only organization registered against the bill. We will press hard to make sure terrible ideas like this never see the Senate floor. Iowa Firearms Coalition goal for 2019 is to reduce the barriers imposed on gun owners in Iowa, not add new ones. This is simply bad legislation. Constituents can contact Senator Bolkcom here.